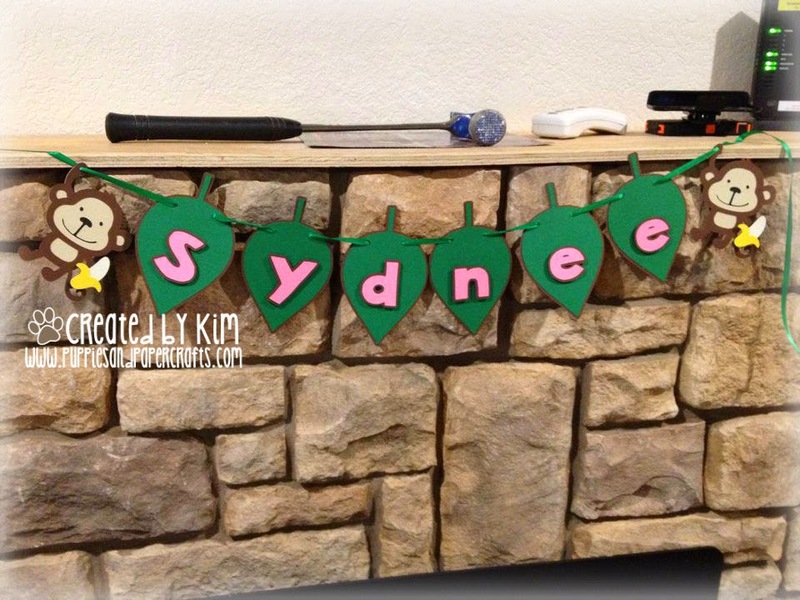 Ricketts Cricuts: Happy 1st Birthday Sydnee! Hi there! I recently got to make a cute Monkey Birthday Banner for a friend's First birthday! Sorry for the tools in the pics! Leaf and font are from Silhouette. Monkeys and banana are from Create a Critter! Awesome banner. I am working on some monkey cards too!